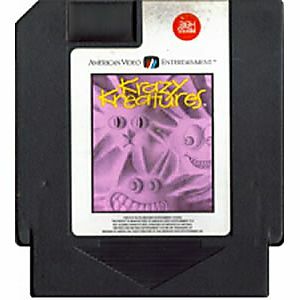 Krazy Kreatures original NES Nintendo Game cartridge only - Cleaned Tested and Guaranteed to Work! Before buying this game, I had never played it. 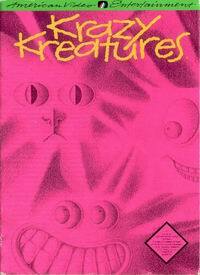 I saw an online game review called "Rare Nes Gems" and this game was on the list. I gave it a shot and was glad I did. This is a puzzle game that is very easy to learn and addicting to play. 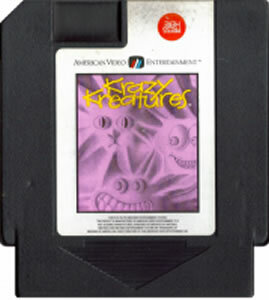 Match various "Kreatures" in a row to make them disappear before the timer runs out. The best part is, if you fail to do so, you do not lose the game. The game lets you move on as long as you don't let the kreatures overtake the screen 100%. This is definitely a great game for the price.